Are you a fan of great American writing? of Barbara Kingsolver? Be prepared then for another great read with Flight Behavior! I was so thrilled when Edelweiss [click on the link if you have not tried their service yet] allowed me to download this ebook, months before its publication date. As a perk, its download totally froze my ipod touch, even after several reinstallings of the ebook reader app, so I ended up finally buying a Nook Color. That was a delight to have a larger screen to devour this ebook! Right away, Kingsolver grabs your attention with her fluid style. What I mean by that, is that when I read Kingsolver, I often lose the feeling that I am reading, it feels so much like she is taking you in real life, with very human characters, with their daily concerns, their dreams, their dialogs full of graphic, inventive images. How can she come up with those really funny and so self-explanatory images? Dellarobia Turnbow has been living on a farm in the Appalachia with her husband, her two young kids, and not too friendly in-laws, and she has had enough with her narrow world. One day, as she has reached the edge of what she can bear and is ready to plunge into a romantic affair, she hikes a nearby wood to join a handsome potential lover. On her way, she witnesses an event of a majestic beauty that takes her breath away, eventually opening a much wider horizon than the one she was prepared for; launching her in new directions affecting her entire life. As a matter of fact, I really enjoyed very much the description of the interaction between her daily chores and her inner growth. Through the witnessing of this strange beauty she witnessed, leading her to connect with people both inside and outside her local community, she begins to see things in a different way. This story brings to life issues or religion, geography, science, and much more. I cannot say more and reveal what it was she saw, and to where it eventually lead her. I can only say that her horizon keeps expanding throughout the whole novel, culminating in her dramatic decision at the end. With the first words describing what Dellarobia saw, you may experience the “aha” moment immediately, or thirty pages later, when the author deigns to tell you what it is all about. Will you get it right away? Will it put you on the edge of your seat for a while? It does not matter. Ultimately, the beauty of the story and Kingsolver’s writing style will irresistibly draw you in. I actually learned a lot in this book, about the phenomenon Dellarobia witnessed, what caused it, ecology, and the whole problem of global warming. It was also fascinating to keep discovering new layers of meaning pertaining to the title. This is undeniably and charmingly Kingsolver at her best. Flight Behavior transfixes from its opening scene, when a young woman’s narrow experience of life is thrown wide with the force of a raging fire. In the lyrical language of her native Appalachia, Barbara Kingsolver bares the rich, tarnished humanity of her novel’s inhabitants and unearths the modern complexities of rural existence. Characters and reader alike are quickly carried beyond familiar territory here, into the unsettled ground of science, faith, and everyday truces between reason and conviction. Barbara Kingsolver is an American novelist, essayist, and poet. She was raised in rural Kentucky and lived briefly in Africa in her early childhood. Kingsolver earned degrees in Biology at DePauw University and the University of Arizona and worked as a freelance writer before she began writing novels. Her most famous works include The Poisonwood Bible, the tale of a missionary family in the Congo, and Animal, Vegetable, Miracle, a non-fiction account of her family’s attempts to eat locally. After graduating from high school, Kingsolver attended DePauw University in Greencastle, Indiana on a music scholarship, studying classical piano. Eventually, however, she changed her major to biology when she realized that “classical pianists compete for six job openings a year, and the rest of [them:] get to play ‘Blue Moon’ in a hotel lobby.” She was involved in activism on her campus, and took part in protests against the Vietnam war. She graduated with a Bachelor of Science in 1977, and moved to France for a year before settling in Tucson, Arizona, where she would live for much of the next two decades. In 1980 she enrolled in graduate school at the University of Arizona, where she earned a Master’s degree in ecology and evolutionary biology. Kingsolver began her full-time writing career in the mid 1980s as a science writer for the university, which eventually lead to some freelance feature writing. She began her career in fiction writing after winning a short story contest in a local Phoenix newspaper. In 1985 she married Joseph Hoffmann; their daughter Camille was born in 1987. She moved with her daughter to Tenerife in the Canary Islands for a year during the first Gulf war, mostly due to frustration over America’s military involvement. After returning to the US in 1992, she separated from her husband. In 1994, Kingsolver was awarded an Honorary Doctorate of Letters from her alma mater, DePauw University. She was also married to Steven Hopp, that year, and their daughter, Lily, was born in 1996. In 2004, Kingsolver moved with her family to a farm in Washington County, Virginia, where they currently reside. In 2008, she received an Honorary Doctorate of Humane Letters from Duke University, where she delivered a commencement address entitled “How to be Hopeful”. To read more about Barbara Kingsolver and her books, go to her website. WHICH KINGSOLVER’S BOOK IS YOUR FAVORITE? This entry was posted in ebook, Fiction, Reading Challenges and tagged Appalachia, beauty, ecology, global warming, Kingsolver, Nature by WordsAndPeace. Bookmark the permalink. It sounds good! Good to read that you loved it so much! I’ve got a paper copy of the ARC – and thank goodness for that, my Sony reader doesn’t like ebook that play up (as this one seems to have done for you). To buy an e-reader especially for the book, that’s dedication – but it means much easier reading in future. I’ll be reading Flight Behavior soon, looking forward to it! yes a really really good one. well, I receive many egalleys from publishers, and if they are pdf it’s a pain on the small screen of an ipod touch. plus the nook color is way more than an ereader, a great tablet indeed, really worth its actually low price. I’m glad to hear you liked this one. I’m a fan of Kingsolver and look forward to reading it. you will love it! A great great one. Great review! Your description of the novel’s themes is beautiful. I am really looking forward to this book, as I’ve enjoyed Kingsolver’s other fiction. Thanks, it’s always easier for me to write a review when the book is fantastic. I think it’s at least as good as Poisonwood Bible, maybe even better? I am a fan of hers and look forward to reading this book. You won’t be disappointed, it’s a great one! Kingsolver is one of my favorite authors, so I’ll be sure to read this one. It’s encouraging to know that you loved it so much. My favorites are her early books, like The Bean Tree. 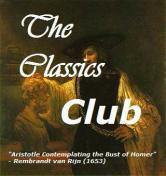 You will love it, as good a masterpiece as Poisonwood Bible, I think. I completely agree in that while reading Kingsolver you forget you are reading; she does take you into real life. I had such empathy for Dellarobia. Until the end. I could not say it on my blog (spoiler!) but I was so very disappointed in her choice to go elsewhere for her life. I’m sure most people would say, “Hooray! She’s getting out of that rural dump of a town and finding self-actualization.” But I say, “Oh, Dellarobia, you’ve left a man who loves you, a good and loyal man, and worse yet, you’ve left your children to the fate of a fractured home.” So, so sad. It almost spoiled the book for me. I agree, and I was not expecting that type of flight. Would you consider this book the best Kingsolver fiction? I believe I have read all her novels, and I think this is my favorite. I’m glad you were so moved by Flight Behavior, and I think it’s interesting you found it to be one of her best. Reading is very personal on a lot of levels. Where you found the mundanities of Dellarobia’s enthralling and sympathetic, and loved watching her change, I was bored and irritated by all of those little details. I suspect some of the reason for my lack of interest in Dellarobia is that I never got a chance to know her before that opening scene. One thing I have absolutely no respect for is cheating on someone, so Dellarobia and I started out on the wrong foot. While, yes, I sympathized with the circumstances she found herself in, I could not relate to the way she handled her situation (or didn’t). I enjoyed the end of the novel a bit more, and did delight in the ending (which yes I didn’t mention because of spoilers), where she comes into her own. However, that ending wasn’t enough to offset my own personal disinterest in the small details of farming life, church drama, parenthood, etc. In writing my review, I don’t intend to say that it will be the truth for everybody, in fact I specifically urged seeking other reviews, but that’s how I felt. I do think my criticisms are fair for me, and perhaps other people who are in some way ‘like me,’ as I had a similar lack of interest in theory of the lives of the women in her other three books I’ve read, but I was drawn in by their powerful characters. To sum up, Dellarobia just was not a strong enough character to make me interested in the minutiae of her life. Sorry for the insanely long comment, but this review’s been drumming up a lot of responses, so I wanted to say something somewhere. I still love Barbara Kingsolver. Who knows, maybe when I’m older, I’ll reread this and love it. thanks so much for explaining, I understand your position. And no problem with long comments, I love it when we can really share and comment back, I think this is one of the riches of book blogging. Thanks for reading my own review. It was definitely a good read and a huge yes to learning lots while reading, especially pertaining to global warming. 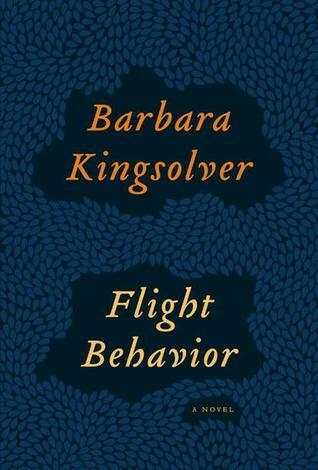 Sometimes I do think Kingsolver can beat you over the head a bit too obviously about things, but she’s almost won me over with Flight Behavior! almost? but you said you thought this was even better than The Poisonwood Bible, right? Yes, but I couldn’t make it through The Poisonwood Bible. That was almost 10 years ago so I need to reread it as everyone really raves about it. So, Flight Behavior wins for now – we’ll see how I feel after my reread! thanks. yes, I think they miss the whole point, it’s a novel, not an essay – which is very good at also, incidentally. Emma, I enjoyed reading your review. Kingsolver has been one of my favorite authors for a long time, but my favorite is The Bean Trees rather than The Poisonwood Bible. I do think Kingsolver’s later books have gotten preachy, but she can still draw me in. I’m enjoying Flight Behavior so far! I agree, actually. Although she has a message, she didn’t get too preachy with it in this one.